Photo provided by Karen Boone and Boomer. 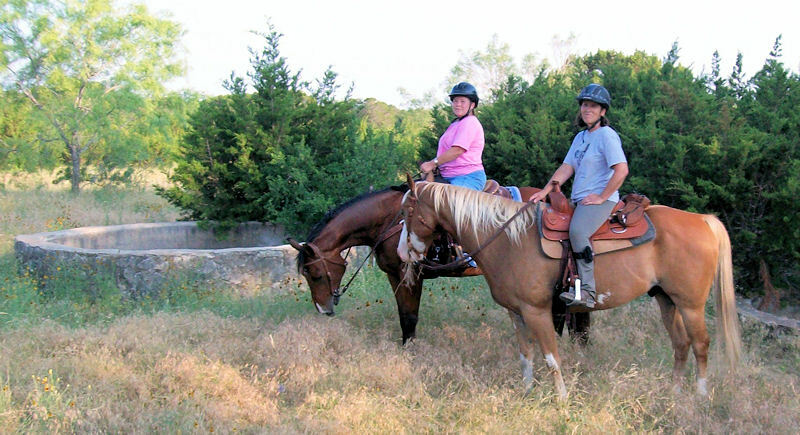 Parrie Haynes Equestrian Center remains open to horseback riders! Directions: Parrie Haynes Equestrian Center is centrally located within 3-4 hours of the Houston, Dallas, and San Antonio metropolitan areas, one hour north of Austin, and 13 miles south of Killeen. -Traveling from Waco I-35S, take Hwy 190 west at Belton. In Killeen turn south on Hwy 195 for about 13 miles, then turn right on FM 2670. If you cross the Lampasas River Bridge you have gone too far. Go 3.7 miles and take right on North Maxdale Road. -Traveling from Austin I-35N, take Hwy 195 north (exit 266) & drive for 24 miles, traveling through Florence and crossing the Lampasas River, then turn left on FM 2670. Go 3.7 miles and take right on North Maxdale Road. -The East Unit is located at 13816 North Maxdale Road – The multi use entrance is 2.2 miles straight on North Maxdale Road, on the left past the main ranch entrance. The entrance to the camp is through the second set of double silver gates. Proceed down the paved road until you come to the iron ranger. Payment is required before parking. Entrance to Parrie Haynes Equestrian Center. Electrical & Water hook up camping with pens. Photo by Karen Boone. You can pay in advance through PayPal and have your site reserved or you can pay when you get there. -Entry Fee: $10 per person (children three and under are free) – The entry fee is collected only once if you are camping for up to 3 days. One horse per person is included. For each additional horse add $5 per horse. -Overnight, with electrical hook up: $25 per 24 hour period per rig – this includes pens, it is an extra $5 for a third horse. -Cowboy Cabin: $40 a night for for two. If you have more than 2 people the charge is $10 per additional person per night. Rustic lodging includes primitive parking for one rig. Sleeps up to four. There are three twin beds and one rollaway bed. Towels, bed linens and cooking utensils are not furnished. Includes a corral with water nearby. There is a window unit/air conditioner, a covered screened in porch, a small refrigerator, and a microwave. A grill is located outside of the cabin and picnic table under a shade tree. -Bunk House: $40.00 a night for two people and $10 for each additional person. Can sleep six if you double up on the bottom full size beds, but it will be extremely tight. Has two bunk bed sets (full size beds on the bottom and twin size on the top), a small microwave and refrigerator, a coffee machine (provide your own filters, coffee, and cups) a small table, two chairs, and air conditioning. There is also a small little porch with chairs and a table. Includes a large corral and water is located nearby. -Sunrise Cottage: $100 a night for 1-2 persons, additional persons are $10 a night. Sleeps a total of six. The cottaged is heated and air-conditioned. The living area has a full size fold out couch and TV. There is a full kitchen. The down stairs bedroom has a queen size bed. There is a bathroom with a shower. The upstairs loft (low ceiling) has two twin beds. Two pens are provided but four can be available. -Hideout Clubhouse: $200 per 24 hr period- reservation only. The Hideout Clubhouse has a commercial kitchen for guest use, tables with seating for 40 people, an indoor meeting room, and covered porch. 24 hour rental is available on a daily basis beginning at noon. Shady water/electric campsites with pens and picnic table. Sets of two side by side 10×10 pipe stalls are located through out the Equestrian Center East Unit (site 24). 10×10 Pens at the electrical/water hookups East Unit camping sites. Photo provided by Karen. Parrie Haynes Equestrian Center /East Unit has 29 camp sites with 30-amp electrical and water hookups with two side by side 10×10 pens each . There are about a total of 64 pens if you count them individually. Some of the sites now have three pens. The pens are made of thick metal piping and are sturdy. There are additional sets of two side by side pens and large oak trees to accommodate many primitive campers and day riders. There is a huge field for additional trailer parking and primitive camping. There is also a round pen. The park provides wheel barrows and designated areas to dump manure so you don’t have to pack it out. Several water faucets are available for use as well. There are showers and what is described as vault toilets . I had no idea what a vault toilet was until I saw them and Googled the term. It is basically a high class outhouse, a cement hole in the ground with a toilet and building on top. The vault is seeded with chemicals to prevent odor and disease . It is regularly pumped out and retreated. There is also a cowboy cabin, bunkhouse and club house which can be rented out. There are several picnic tables scattered throughout the trail head. Mileage: The East unit trail head opens up to approximately 25 miles of trails. There are three different trails which are color coded. The RED trail is 6.5 miles, the BLUE trail is 9 miles, and the YELLOW trail is 10 miles. There is also a White trail which shows up as gray on the map – mileage unknown. Each trail has colored arrows marking it. The west unit also contains miles of trail, but are not as well marked. Altogether there are over 50 miles of trails on the entire ranch. The West side is not always open depending on what activities are underway. Wagons/Carts: There are some new rock free wide trails/paths close to the campsite which also can be used for wagons/carts. Trail Markers: Trail markers have been improved and it is much easier to stay on trail on the East side. The trails are color coded with different color painted rocks and some posts with colored strips or arrows as well. Map: Parrie Haynes Equestrian Center Trail Map (Scroll down to the second page to see the color coded trails). Be sure to print out your map from home as they do not generally give out the maps at the center. There are some newer trails now that are not shown on this map. This section of the red trail is unusual compared to the rest of the terrain. A great road to get in a long trot or gallop. trees. Unless your horse’s hooves are extremely tough your mount will most likely need shoes or boots. There are a few trails which are flat and free of rocks but the majority of land is quite rocky. These trails wind in and out of woods and there are plenty of trails out in the open with no shade as well. You will surely enjoy the Hill Country scenery. There are some water crossings and a few water troughs along the trail. 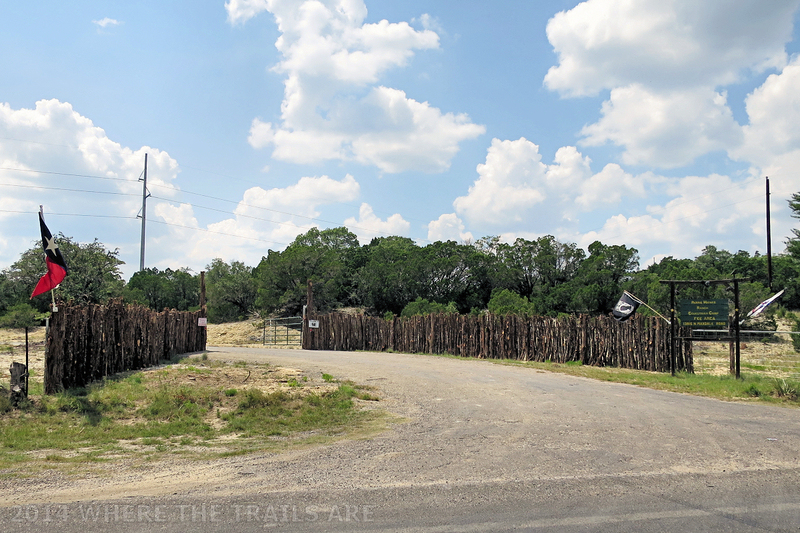 Rich in Texas history, Parrie Haynes Ranch is located in central Texas just south of Killeen. The original owners, Allen and Parrie Haynes, knew the definition of hard work. Starting from meager beginnings in the late 19th century, they built the largest land and cattle empire in the region. Having a huge heart and love of children, in 1957 Mrs. Haynes willed her ranch to the state of Texas for the purpose of benefiting orphaned children. Mrs. Parrie Haynes is a true role model and a strong Texas pioneer woman to be admired. Owned by the state, The Texas Juvenile Justice Department currently holds the trust to Parrie Haynes Ranch. The land was leased to Texas Parks and Wildlife until September 2012, when it became too costly for TPWD to run. 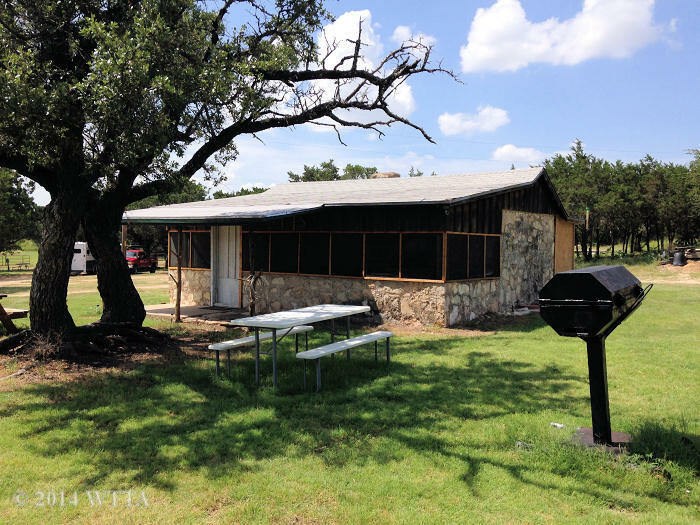 TPWD had made the east unit available to the public for camping, hiking, biking, and horseback riding. Due to the lease ending, questions arose as to whether this amazing Ranch would remain preserved for public enjoyment while still keeping true to Mrs. Haynes’ last will and testament. The future use of the Ranch was in debate. Friends of the Parrie Haynes Ranch Inc., (http://friendsofphr.com) a great advocate of the ranch and Mrs. Haynes wishes, is a Citizen Volunteer Support Organization that promotes activities and educational programs for youth while enhancing and preserving the history and pristine environment for further generations. 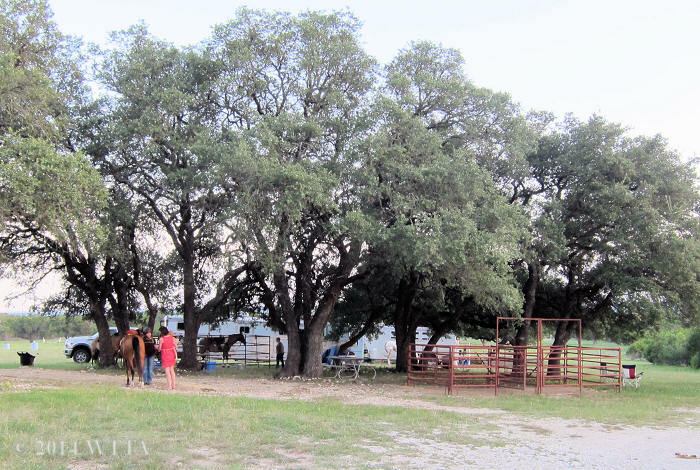 The 4,500 acre Ranch is divided into two units, east and west. The ranch is currently leased to C5 and Coca-Cola who have invested millions of dollars in buildings to be used for programs serving disadvantaged youth on the west side. The east unit, now known as The Parrie Haynes Equestrian Center, is subleased to Ona Trubee, thus keeping this treasured resource open to equestrians. 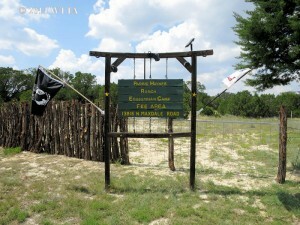 Ona is honored to manage the Ranch and continues to improve the facilities. 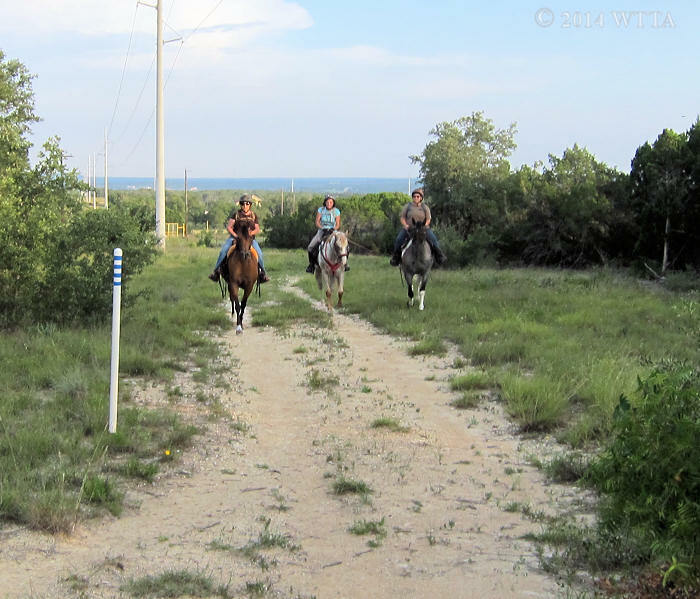 Ona has permission to open up trails on the west side when it is not being used for youth camp activities or hunting, providing over 50 miles of Texas Hill country to explore from the back of your horse! Kelley Brough with her Arabian, Gray Dog, on Ivy Mountain (West Side). Parrie Haynes Equestrian Center East Unit is a prime destination for trail riders. Trails are also shared with hikers and cyclists (although I’ve not seen either on the trails). The campgrounds are beautiful and you certainly don’t have to rough it with all the added facilities. The campground contains 40 camp sites, each with two sturdy side by side 10×10 pipe pens, 29 of which have electrical and water hookups, all of which can be reserved. Picnic tables under the shade of large oaks are scattered throughout the campgrounds. 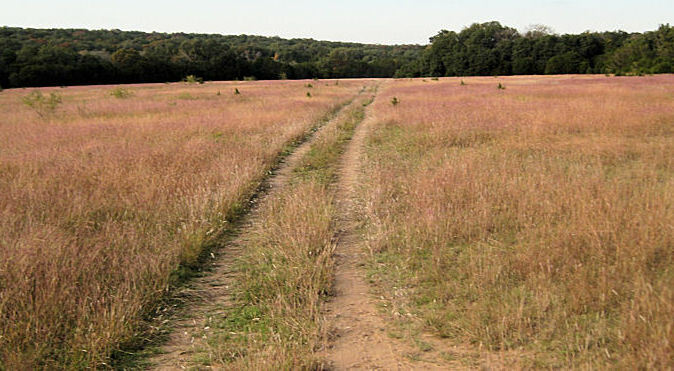 A large field provides additional trailer parking and primitive camping. Wheel barrows are provided and there are designated areas to dump manure so you don’t have to pack it out. Additional facilities include a round pen, showers, and restrooms. There is also a cowboy cabin and clubhouse which can be rented. Having visited four times now, each experience has given me an escape and adventure, with my last visit being the most adventurous of all. 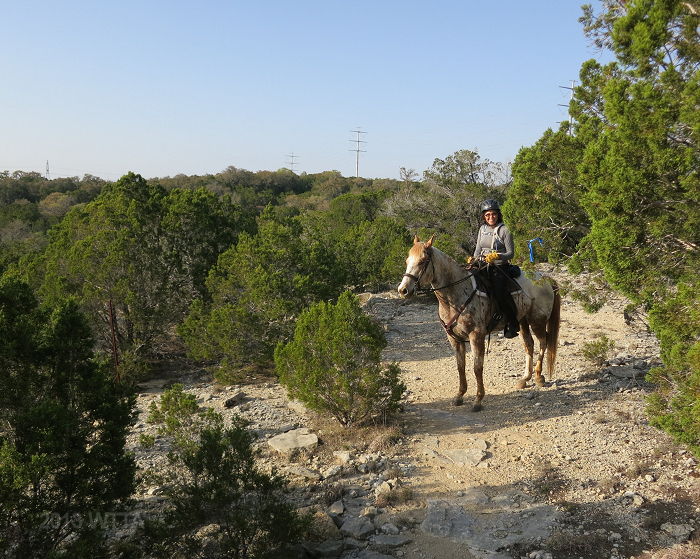 In April of this year I participated in a NATRC competitive trail ride, which was a great opportunity to see most of the ranch as we covered 28 miles the first day and 25 the next on the east and west sides. Blue bonnets and wildflowers were out, and some of the trails took us on areas of the Ranch not usually traveled. My favorite was Ivy Mountain. The trail leading up to Ivy Mountain winded along a ridge and then jutted up steeply under the branches of cedar trees. Despite my reservations, Angel had no concerns and swiftly maneuvered the steep and rocky incline while I ducked down to avoid the low branches. 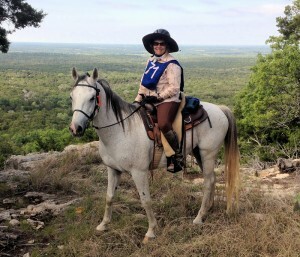 Once atop Ivy Mountain, Kelley Brough aboard her Arabian gelding Gray Dog posed for a picture in front of the best view I’ve seen in the Ranch so far, and then she kindly did the same for me. 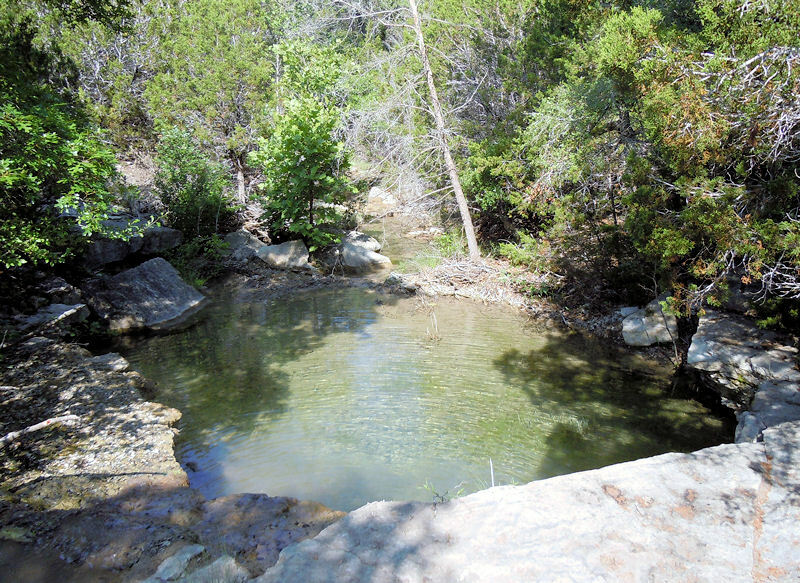 The terrain at Parrie Haynes varies from easy to challenging and consists of rough but beautiful Texas Hill County with plenty of rocks and cedar trees. Unless your horse’s hooves are extremely tough your mount will most likely need shoes or boots. There are a few trails which are flat and free of rocks but the majority of the land is quite rocky. These trails wind in and out of woods and into the open as well. There are some water crossings and a few water troughs along the trail. The buzzing of newly constructed power lines is the only downside of the Ranch for me. But the positives far outweigh this unfortunate addition to the ranch. 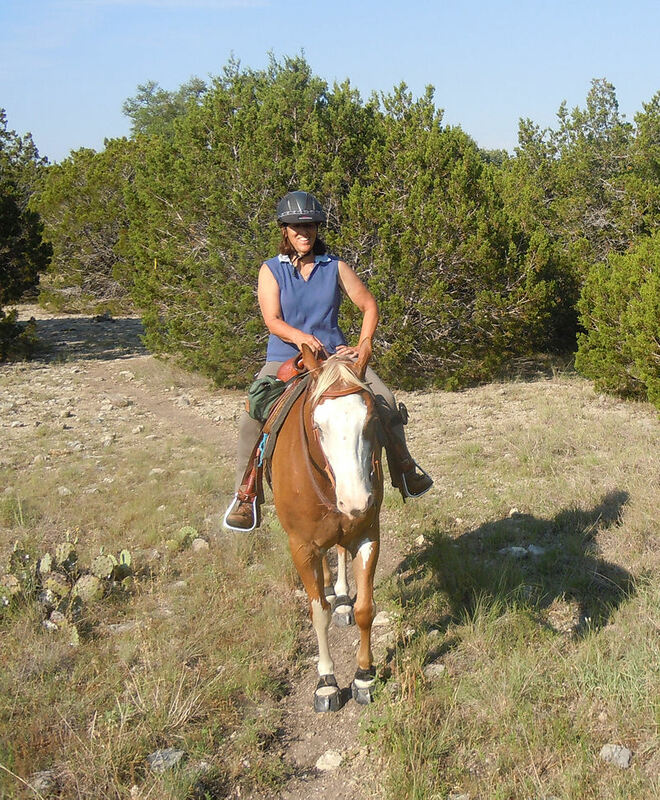 This is the only central Texas area I know of that offers over 50 miles of trails for equestrians! So be sure to bring your horses and experience a beautiful piece of Texas to the fullest so we can keep these trails open and continue making improvements. I got an opportunity to revisit Parrie Haynes after hearing about all the changes Ona has made since she took it over. The Equestrian Camping area has the most changes. Lots more hookups, and pens have been cleaned up of all the rocks and are great. Lots of shaded areas. Took a tour of the cabins and they are very nice for sure. Bathrooms/Showers were much improved – they were Clean, Clean Clean!!! Lots of work done on marking the trails and they are now well marked. Unfortunately with the drought the streams were dry, but there is a water trough on the blue trail which was a nice find. We rode on both sides of the park which was a first for me – you need to get the combo from Ona before as the gate is locked. Plus you are required to call when you go. Trails on that side were also nicely marked. All in all I will be going back – with all these changes it is now one of my favorite places to go! Be sure to like us on FB to get notifications of new trail reviews or updates.